When your Havanese doesn’t eat as much as he usually does or when he simply doesn’t eat at all, it can really make the owner very concerned. Some of the times, it is really worth concerning and your Havanese may not have the right nutrients to keep his body healthy if the irregular eating habit continues. There is a number of reasons why your Havanese is not willing to eat much. I am going to explore with your reasons and give you some tips on what you should do for different situations. By the way, I am always on the safe side and don’t mind being a little too safe, so it isn’t a surprise that I will start the list of solutions with visiting the vet. It is almost better to be too safe than to be too risky especially when it comes to taking care of your Havanese. If your Havanese simple don’t eat at all, just eat very little or eat snack only, and if that continues for two days, it is a good idea to take your Havanese to the vet and find out whether this irregular eating is due to sickness. Although most of the time your vet would tell you that that’s nothing wrong with your Havanese, it is still worth it to give it a quick check and eliminate the worst possibility. So, if the vet checked and said that there is nothing wrong, it simply meant that there is no bad bacteria or things like that can causes your Havanese to not eat properly. It is good news that the irregular eating is not due to sickness but it is now your turn to take some effort to solve the puzzle. If your Havanese eat very little but still eat some snack, there is a good reason to believe that he is simply waiting for the snack to show up because he values snack over the real meals. Think about it, it is completely logical as it happens to us too. I bet that you know one friend who prefer to eat French fries and potato chips over real meals. That can easily be solved in the human world because we can have some really tasty and slightly unhealthy meals that can still give us enough nutrients although it gives us a lot of fat at the same time. In the case of your Havanese, you can actually take a similar approach by making the meals a little more delicious. A better way to do that would be to first reduce the amount of snack. And one important thing to note is that if your Havanese don’t eat the meal, let’s say you put the meal in front of him for 15 minutes and he is not eating. You can take the meal away but don’t give them snack right away. Giving them snack right away when they are not eating meals can make them think that not eating is a good strategy to get more snack. Sometimes, to solve the eating issue of your Havanese, you need to tackle it with your common sense. You can put yourself in his position. Start by asking yourself some questions. Would you like to eat the same food everyday? Say if you like to eat French fries a lot. Would you be tired of eating French fries if you keep eating them every single day? I bet the answer is a “maybe”. Therefore, it is a very logical move to let your Havanese try something new. The problem can be magically fixed if the new food excites your Havanese. 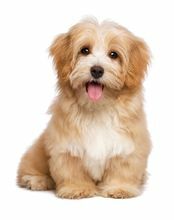 To find out your Havanese may be interested in eating now, you want to try two things at the same time: one canned food and one dry food. Of course you would want to choose a different brand and flavor from the old ones that your Havanese is refusing to eat. When it’s meal time, put both the canned food and the dry food in front of your Havanese and let them stay there for 15 to 20 minutes. If he is not eating them, just take the meal away and don’t give them snack. Repeat that for a few meals and see if he starts to like one of the foods you provide to him. Very likely, he will eat either the canned food or the dry food as he gets a little hungrier. When you successfully find out what your Havanese’s new favorite food it. Keep feeding him that for a few months and then you may want to switch to another one if you see signs of your Havanese eating slightly less than he usually does. Again, the key is to not give your Havanese snack right away when he doesn’t want to eat the meals. In the above writing, I am kind of assuming that you are feeding your Havanese commercial food. If that is the case and you still failed to find the right commercial food that your Havanese is willing to eat, try something total different which is to home-cook for your Havanese. There is a big misconception for home-cooking. People think it takes a lot of time to prepare meals. It actually takes around 5 minute or preparation time and 10 minutes of cooking time (waiting time) to make some simple and tasty boiled chicken legs for your Havanese. You won’t believe how much your Havanese loves these chicken legs. If none of the above suggestions works, you may want to try adding a spoon of tripe to your Havanese’s meal, whether it is canned food, try food or home-cooked food. It may smells awful to you but it seems to taste awesome to your Havanese.